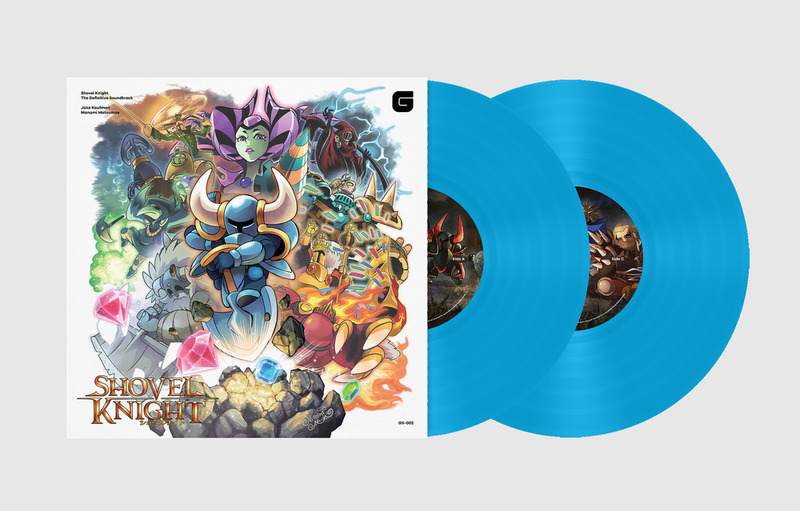 As part of our exciting collaboration with Fangamer, we are releasing a special version of the Shovel Knight 2-LP. These 2-LP sets, originally released in Japan in February 2017, come with a postcard numbered 1 through 100 and are signed by Co-Composer Manami Matsumae and Album Package Illustrator Hitoshi Ariga. The signed limited edition package will be priced at $50 plus shipping and any applicable taxes. Due to limited quantities, we are implementing a strict one-per-customer policy. Duplicate orders will be canceled. The tracklist and vinyl pressing for this release are identical to the standard version, Shovel Knight The Definitive Soundtrack 2-LP Set, which was released in North America and Europe in January 2017. The gatefold has a few differences in the Japanese version, and comes with a unique Obi Strip. This package celebrates the contributions Japanese game creators have made to the creation of Shovel Knight.